I did my standard thing – checking the internet for reviews, looking to see if there were any good videos on Youtube to help inform the decision. The reviews for the gadget were almost universally positive. Especially on Youtube. The difficulty is that all of these reviews seemed to be published by people with affiliate links to the product and other products they reviewed positively. These reviewers had an incentive to encourage me to recommend this product. Can I trust their reviews? Sure, the people writing the reviews or creating the videos aren’t directly linked to the products they’re reviewing. But are they really independent? Are they going to be sharing the same information that they’d share with their friends or family members? I’ve been working on this blog for more than five years now. In fact, it contains some posts I wrote more than ten years’ ago. It took me a while for traffic to start flowing to this site, and for people to sign up to my mailing list. But it’s starting to happen. I feel like the people who spend their time reading this blog and signing up to my mailing list are putting their trust in me. They trust me with their time and attention. If I’ve earned your trust, I want to be worthy of that trust. If you’ve paid any attention to my writing, you’ll notice how sensitive I am to conflicts of interest. I believe incentives matter. And where possible, I try to align my interests with the interests of others. This is the case with my business, where I’ve made a lot of decisions that aren’t in my own best interest but help me to provide the highest, most client-focused advice I can provide. It’s also the case with this blog. This blog will never be an affiliate site. I won’t ever promote the products or services of third parties. One of the things I value most about blogging is that this is my own platform. I’m not writing on behalf of another organisation, so I don’t need to filter my words through the lens of what the organisation wants to represent. Writing without fear or favour is the ultimate freedom I’m pursuing. I’m not writing for a publication like a newspaper or a magazine which relies on advertising and may be reluctant to publish material that might put potential advertisers off-side. If you’d asked me a few months ago, I would have said blogging is a more pure medium than even a newspaper. You can access material written by people with genuine expertise and a passionate interest in topics. And they don’t have to be conflicted in the way that most traditional outlets have to be. I’ve since become both sceptical and cynical about this. I’m not sure whether you’ve noticed, but many popular blogs are affiliate sites in disguise. They’re designed to lure readers, sell products, and get a cut of these sales. It’s a modern-day form of salesmanship. I don’t necessarily have an issue with people trying to monetise their blog. 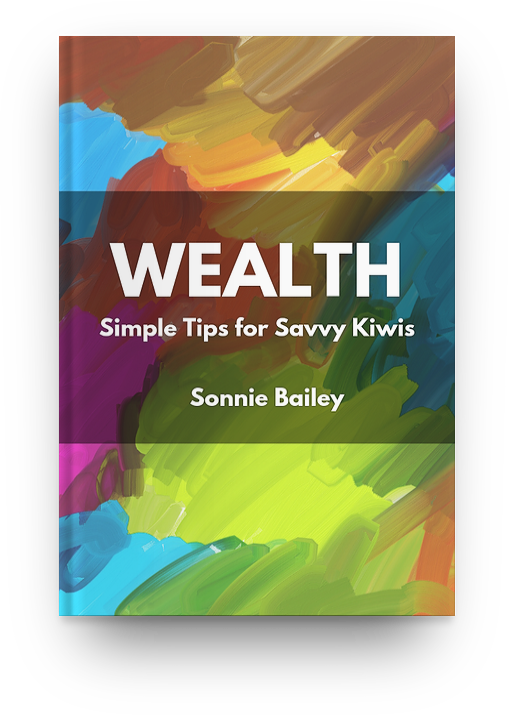 In some ways, I’m doing that with NZ Wealth & Risk, because it creates credibility with prospective clients for my business. It also filters clients – I have some of the best clients around, and I attribute this in part to the fact that my blog attracts clients who resonate with my writing. My issue is where the monetisation strategy doesn’t align the interests of the writer with the readers. Here’s my take. Blogs have to earn the trust of readers to get a dedicated readership. The best way of doing this is by providing excellent content. Occasionally, however, affiliate blogs will publish something that might not be in the interest of the readers. The article might be part of a short- or long-term strategy to monetise the blog. Readers don’t notice this, or those who do let it slide. Some blogs do this in an appropriate way. But some don’t. Let’s take a recent article from an NZ-based site that targets mothers. The article is titled “Downsizing Families: We travel full time, we live on a BOAT”. It’s a profile of Michelle Schroeder-Gardner, a 29-year-old who lives with her husband and dogs on a boat. And… what do you know? Schroeder-Gardner operates her own website, Making Sense of Cents. And she’s successfully monetising it as an affiliate-oriented site. She even publishes monthly business income reports – and apparently, she generated $100,324 in June 2018 and generated as much as $241,649 in February. $57,228 was through affiliate income. More than half of this was through Bluehost ($30,800), which seems to stem from her article about how to start a blog. The next biggest affiliate item was for survey companies ($8,062.65) – this seems largely off the back of an article about the best online surveys readers can take for free. A good portion of the rest ($19,004) was income from her “Making Sense of Affiliate Marketing Course”. Good on her for making money. But there’s something pyramid-schemey about it. Most of the money she generates seems to be from people who want to do what she does – by setting up a blog and selling affiliate products, quite probably related to affiliate-marketing. The more enviable she can make her life seem, the better. In fact, if I were her, I’d probably consider the boat she lives on as a business expense. The more she enviable she can make her life, and the more she can entice people to want to replicate her lifestyle, the more income she’s likely to generate. Some of these people might make money. But I bet you that most people don’t. To me, there’s something iffy about the whole exercise. I don’t want any part of it, and I want people to gain more awareness of this sort of activity. This site will never be an affiliate site or advertise the products or services of third parties. Maybe I’m leaving a whole lot of money on the table. But I want to earn the trust of my readers, and I want to be worthy of that trust. I’m not going to send you to “free surveys” with which I have no association. I’m not going to try to glorify a type of lifestyle and then provide the breadcrumbs to that lifestyle (which conveniently line my pockets). I’m not going to spruik products I have no deep knowledge of, or services I’m not involved with providing. It’s another way of aligning my interests with the interests of my readers. This site isn’t about manufacturing trust and then taking advantage of that trust. You won’t see me explaining how to make money from referral programs or how to make money by filling out surveys. This site is for Kiwis, and it’s about protecting from this type of nonsense. I’d much rather call it out than be part of the problem.